We arrived home (beating our luggage by hours!) to a house with no air conditioning. Two cranky days later the air conditioning was repaired, and I allowed Sophie to use the oven to make me my birthday cake(s). With the exception of using the kitchen torch to brown the meringue, she made these all on her own. She was disappointed that we did not have enough teacups to bake them in, and "messed up a lot of eggs." Recipe for these delightful creations here , pictured in the aforementioned teacup. 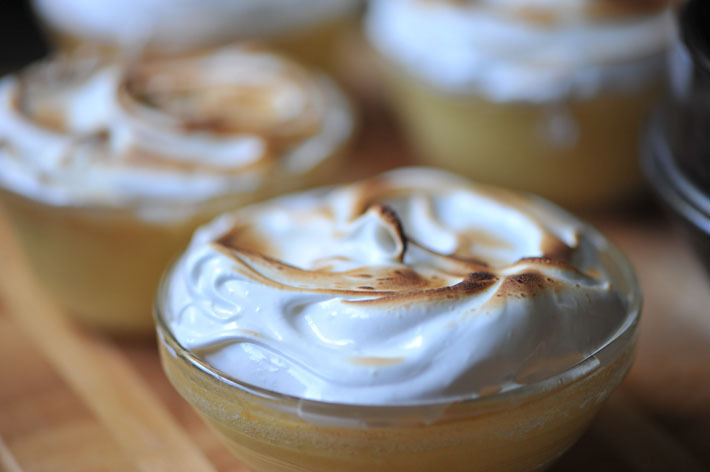 They are like a lemon meringue pie except you don't have to mess around with a crust. The tops are a bit cakey with a pudding-like texture towards the bottom. They took quite a bit more baking time than recommended. If you don't have a kitchen torch you can brown them in an oven. On my done list: 4th of July fireworks on the National Mall, delivered baby girl yesterday, harvested beets--again with the greens>roots problem like the radishes, watched 2/3 of Cloud Atlas--jury still out--hoping for an ending that ties everything together, read "Under the Dome" by Stephen King--nothing like the TV show and "The Interestings" by Meg Wolitzer--a good beach read but characters a bit annoying. On my to do list: World War Z--cannot wait, but have to because I am on call all weekend, finish mowing the lawn, get back into Crossfit without crippling myself, lose the 5 lb. I gained from all the shave ice I ate in Hawaii.